A debut novel by acclaimed story writer Sana Krasikov that examines the effects of the Cold War on three generations of one Jewish American family, from the 1930s to the present. Florence Fein grows up in Brooklyn in the 1930s, to a family that is gaining a foothold in the middle class. 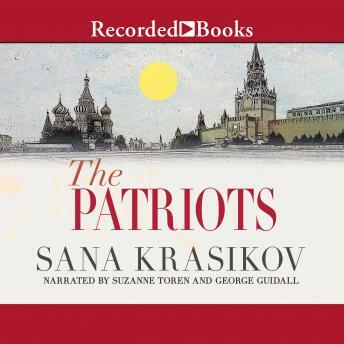 At City College she becomes engaged politically with the left-leaning student groups, and eventually, in the midst of the Depression, she takes a job with a trade organization that has a position for her in Moscow. There, she falls in love with another expatriate American and has a son. Soon after, Florence is sent to a work camp and her son to an orphanage. The novel alternates between her story; the story of her son Julian, from his time in the orphanage to his emigration to the States with his family as a Refusenik and his eventual return to Moscow as an oil executive to investigate his mother's past; and the story of Julian's son Lenny, an American entrepreneur who is excited about the financial opportunities to be found in the new Russian marketplace.